Individual transfers by speedboat from Koh Samui to the beaches of Koh Phangan and back. Depending on a number of people you can choose one-, two-, or three-engine speedboat or even private catamaran and have a fun. Transfers are available around the clock. For nighttime transfers, we charge extra payment. If weather conditions (high waves) does not allow the boat go to the sea we refund full payment. All boats have life jackets. High-class boats are more stable and more covered by waves. Because of low tide sometimes boat able to deliver you only to the neighbor beach of your destination. Land transfer (car or van) from Koh Samui airport to the pier is paid extra. Time on board from Koh Samui to Koh Phangan takes from 20 minutes to 1 hour depending on weather conditions and your destination beach proximity. Transfer price depends from your hotel/beach proximity. Please try to book your transfer in advance. Transfer to Koh Phangan by one- or two-engine speedboat (up to 10 people). Transfer to Koh Phangan by two engine speedboat (up to 20 people). 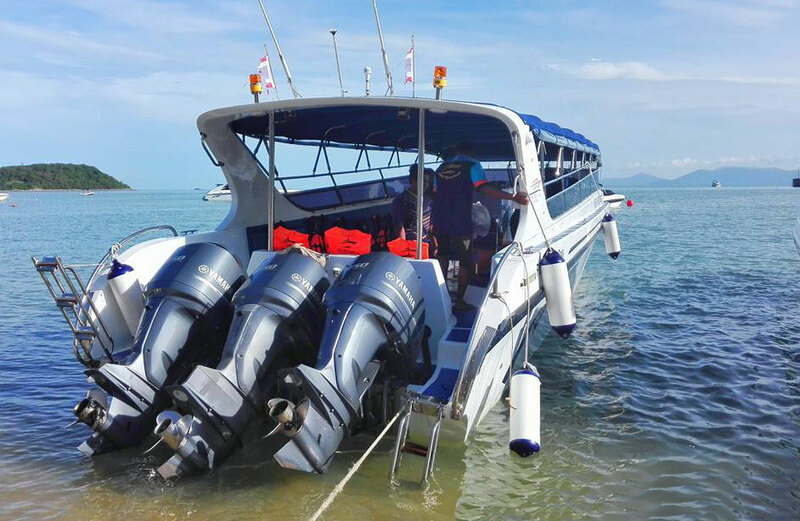 Transfer to Koh Phangan by three-engine speedboat (up to 40 people). 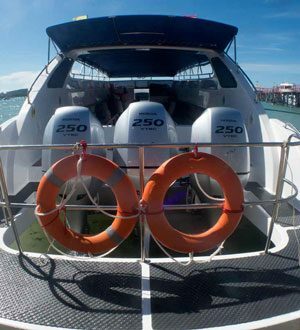 Reviews for "Speedboat service from Koh Samui to Koh Phangan"